Hopefully by now you've had the talk. Not once, but as an on-going discussion with constant reinforcement. I am writing, of course, about your child’s responsibility to do the right thing. All parents want their children to grow up to be leaders, not bullies. Have you had “the talk” with your child, yet? For more information about healthy relationships or to bring a speaker to your parent group, please contact Carole Aksak at 516.741.2550 ext. 254. 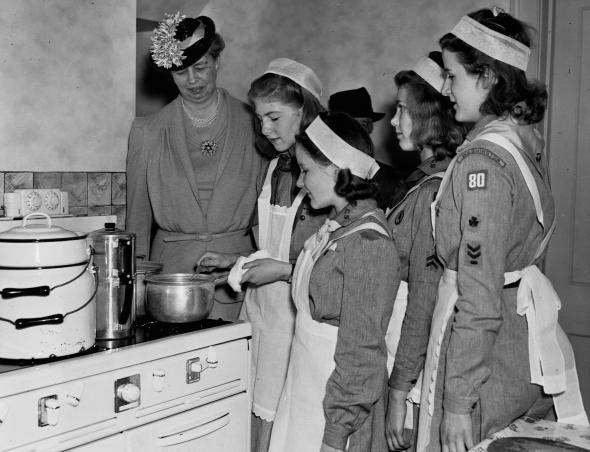 100 Years of Girl Scouting Cookbook! In 2012, we will celebrate 100 Years of Girl Scouting. As we look ahead to the next 100 years of scouting we can’t help but look back and remember the journey we have taken to reach this milestone and celebrate the women that helped start this amazing adventure called Girl Scouts. Plans are underway to make this the biggest celebration that Girl Scouts has ever seen. To start the celebration, Girl Scouts of Nassau County is compiling a 100th Anniversary Cookbook which will be sold beginning at GirlFest 2011. We need your help to make this project a success! In our effort to make a difference and share our vision of a healthy attitude towards food, as part of our Healthy Living initiative, we are gathering healthy recipes from our membership. What is a healthy recipe? To me it means no additives and preservatives, no ingredients that aren’t natural. Good old fashioned whole food! Flour, sugar and salt are all natural ingredients…so I challenge you all to send us YOUR healthy recipes. If you’re not a cook then perhaps you have an idea for a title for the cookbook or a memory or quote we could use. Check out our website and click on the 100th Anniversary link on the home page. Fill out the submission form to send your recipe(s), suggestions, quotes or pictures. Happy Healthy Cookin’! 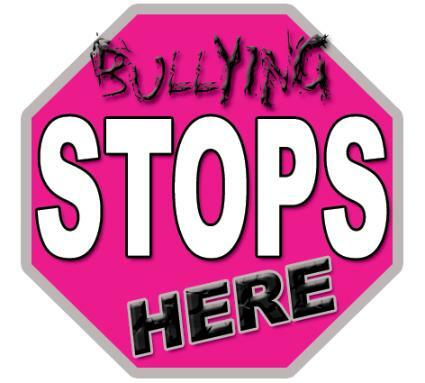 Bullying is not just someone else’s problem; it affects all of us. Every child has a right to an education, and bullying denies that right. A child constantly subjected to fear, threats, humiliation, and physical abuse is in no condition to learn. The school thus becomes, in the bullied child’s mind, a prison; and the child’s psychological state is reduced to that of a terrorized captive – whose main goal is not learning, but rather escaping from the incessant torture committed at the bus stop, in the playground, on the Internet, in the cafeteria, and even in the classroom. Emotional and physical survival become the only priorities, and all else gets cast to the wayside. In extreme cases, suicide becomes a distinct possibility. Of course, the bullied child understands none of this – anxiety not being particularly conducive to reflection. The experience of being bullied is both immediate and concrete. In any case, prolonged exposure to bullying can cause life-long scars and the permanent destruction of the child’s true potential. An uneducated child will eventually become a burden to us all, in one way or another. 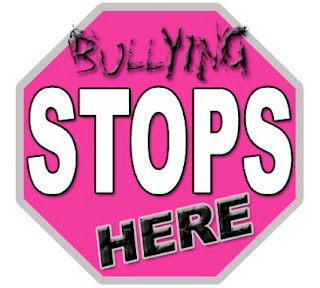 But bullying also spawns other victims: Unrepentant bullies who are not put in check before it’s too late become deprived of the possibility of understanding, appreciating, and respecting the rights and the dignity of others. This puts them on a collision course with a lifetime of pain and suffering when inevitably thrust into the world of adult relationships – be they within the context of a marriage, the law, a job, or common social situations. In addition, the bully’s moral development will be delayed if nothing is done since bullying others is clearly a symptom of the inability to distinguish between right and wrong and that it is simply wrong to harm others. Bullies must be made to understand that by humiliating others they actually are demeaning themselves much more so than they could ever imagine. Each and every child has the right to strive for his or her maximum level of development in all domains; and we, as adults, are responsible to make sure that that happens. That is the main point of all that we do. Finger-pointing will not solve the problem: Parents blame the schools, and schools blame the parents, and the suffering continues unabated. Only when both sides mutually agree to a cease-fire and begin to work together in good faith will the end of bullying be in sight. Politicians pontificate, and lawmakers legislate, and all manner of measures are proposed to leave the impression that the situation is under control and that the guilty will be punished. It is indeed a lovely show that accomplishes nothing. So something else is needed: An ounce of prevention being worth a pound of cure, respecting the dignity of others needs to be part of the curriculum in the education of every child at the earliest– in the home and at school. This will take some effort, but is far preferable to condemning bullies and the bullied alike to a lifetime of pain and lost opportunities, never knowing what could have been. None of us want our children to be bullied or to be bullies; instead, we want our children to be kind, compassionate human beings with the education and moral development needed to build a better tomorrow. So talk to your children, their teachers, the school administrators, and even to other parents. This is not about “Us versus Them.” But rather, about working together as members of a community with the common goal of putting an end to the destruction of our children’s lives. And to ensure that they prosper and receive every chance to fulfill their true human potential, as is their right. 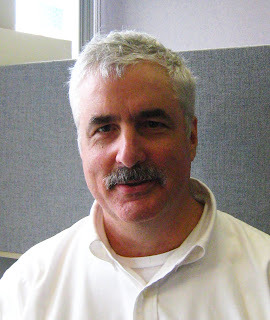 James Langan is an Information Technology Administrator at Girl Scouts of Nassau County. In addition, he also works with his Girl Scout colleagues to support language translation. James has followed the Council’s work on Critical Issues and is passionate about spreading awareness on the various issues facing children today. We look forward to hearing from him on other topics again soon.